If you are doing your research on dental implants, then you may be concerned about healing. A lot of our patients at Northlight Dental are concerned that healing from implant surgery is going to be long or complicated, but that is not necessarily true. 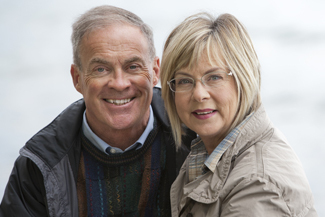 Dental implants in Milton Keynes are a good treatment option for a lot of people, provided that they are over 18 and in good oral and overall health. For most people the healing process is simple and the outcome is guaranteed. However, surgery for dental implants in Milton Keynes is not a piece of cake for everyone, since some health conditions may significantly affect healing. Can I smoke and have dental implants at the same time? Studies have shown that there is a definite link between smoking and dental implant failure. While some people may get away with it even if they continue smoking straight after the surgery, there are enough statistics to suggest that smoking causes implant failure. This is because of two reasons. Firstly, nicotine restricts regular blood flow which is necessary for the healing process. Secondly, tobacco alters the bacterial balance in the mouth, making smokers more prone to gum disease and other oral infections. Heart disease can compromise the ability of the body to heal properly after implant surgery, since it is interconnected with the stress levels in the body as well as the body’s immune system. Patients whose ability to fight infection is diminished because of cardiovascular disease are not good candidates for dental implants in Milton Keynes. While the newest research suggests that patients with diabetes can have dental implants successfully, there is still risk in doing so, especially if the diabetes is not controlled. Uncontrolled blood sugar levels can cause complications in the healing process, therefore patients are strongly advised to monitor their blood sugar before they seek dental help for dental implants in Milton Keynes. While any of the above conditions can cause difficulties to people who wish to undertake implant surgery, you can still benefit from dental implants provided that you help us plan your treatment by taking all your health parameters into careful consideration in advance. This entry was posted in Dental Implants on 14th November, 2018 by Northlight Dental.